Having insurance coverage at the Lake of the Ozarks can protect you in many different aspects of your life. There are always potential risks that could cause you major financial duress if you're not properly insured. 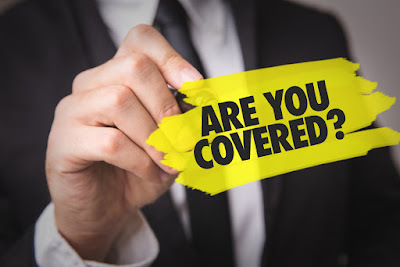 Whether something goes awry with your home or business, or damage occurs to your automobile or personal possessions, having a comprehensive insurance policy can protect your interest and help you get back on track more quickly after a loss or incident. 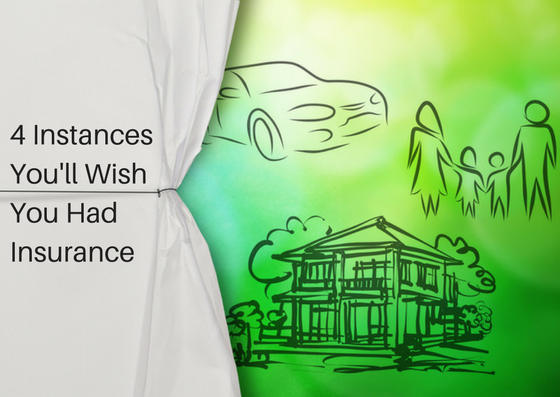 In lieu of that, Insure the Lake wants to share with you 4 instances in which you'll wish you had insurance coverage. If you're involved in an auto accident and you're uninsured, you risk the chance of paying for medical expenses, repairs, etc., not just for yourself, but for everyone involved. Furthermore, in the State of Missouri, if you're involved in an auto accident and are not properly insured per the state's minimum requirements, your license may be suspended,even if the accident wasn't your fault. If the accident was your fault, you will be suspended AND you will not be able to get your license back until you can prove you have taken care of the damages. This simple issue could hold your license up for years. After all these possible consequences, does it really make sense not to have auto insurance? Imagine getting home from work one evening and finding your back door wide open. The door jamb is busted and as you enter your home, you find it in complete disarray. Your home has been broken into and robbed. You immediately call the police to file a report. But then what? Do you have home owners insurance to cover the loss of your personal property and the damage done to your home? Homeowners insurance is not something that you should take lightly. Your home protects so many valuable belongings – you’ll want to make sure that insurance is there if you do need it. Let's face it. No matter how great of a relationship you build with your clientele, things can happen and business owners may face the threat of a lawsuit every now and then. And while, many business owners believe that their contracts are so solid and ironclad that courts of law will be avoided completely, that's just not the case. Unfortunately, even arbitration can require costly legal representation or advisement. While responsible business owners will continue to depend on contracts as a method to delineate expectations and agreed-upon outputs, contracts do not solve every conceivable problem. Complications happen and sometimes lawsuits are unavoidable. Business insurance may include errors and omissions insurance to protect your company in times of need. If the home or condo that you're renting were to be lost to a fire tomorrow, would you be able to easily replace your property? If you're relying on your landlord's homeowners policy to cover those expenses, you may be in for a rude awakening. If you're renting an apartment or home, you'll need an insurance policy to cover your belongings. Your landlord's property insurance policy covers losses to the building itself – whether it's an apartment, a house or a duplex. Your personal property and certain liabilities, however, are covered only through a renter's insurance policy that you, as a tenant, have to find and pay for. Whatever your Lake of the Ozarks insurance coverage needs are, you'll want to make sure you're fully covered and prepared for any potential risks or losses that may arise. Insure the Lake specializes in all types of insurance policies ranging from personal home and auto insurance to business liability insurance and workers compensation. So, no matter what your insurance needs are, we can help. Give us a call today to discuss your current coverage and let us review your policies for any gaps that may cause problems in the future. Let us see if we can provide you with the most comprehensive coverage at a competitive price! Request a Free Quote Online! Contact Insure the Lake today for all your Lake of the Ozarks insurance needs! About the Author: Steve is a double back-flip insurance ninja. 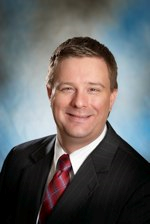 He was named Young Insurance Agent of the Year by the Missouri Association of Insurance Agents in 2010 and is a Certified Insurance Counselor. When he is not helping customers, he enjoys community service, Latin dancing with his beautiful wife and going on adventures with his two awesome sons. I am an independent insurance agent located in the Lake of the Ozarks area with access to over 50 companies for my client's insurance needs.